“Oikan ains Bethlehem.” With these Gaelic words, a candle is lit, a procession is launched, and a haunting Christmas journey unfolds. 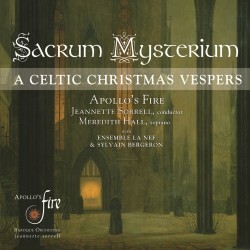 Sacrum Mysterium, Apollo’s Fire’s hugely popular Celtic Christmas program, which premiered in six sold-out concerts in their home base of Cleveland last December, arrives on CD for the 2012 holiday season. Long before Christianity took hold in Scotland and Ireland, the ancient Celts celebrated the Winter Solstice and the coming of light and hope. The echoes of Paganism still resounded in the 13th and 14th centuries, when faithful Scots sang the Vespers of St. Kentigern, Patron Saint of Glasgow. Jeannette Sorrells new celebration of Celtic artistic traditions interweaves selections from the medieval Vespers of St. Kentigern with ancient pagan carols and popular tunes from 17th-century Welsh and Scottish manuscripts for lute and harp. Joyous fiddle tunes and Irish dances burst forth against the vivid backdrop of the unfolding Christ story. The colorful sounds of antiphonal bagpipes, archlute, harp, percussion, fiddles and recorders are blended in musical arrangements by Sylvain Bergeron and Sorrell. The early-music ensemble La Nef of Montreal joins Apollos Fire for this international collaboration featuring the radiant Canadian soprano Meredith Hall. 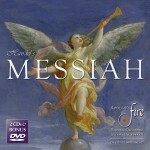 The CD is complemented with a bonus DVD featuring several songs from the album. 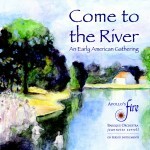 Sacrum Mysterium joins Apollo’s Fire’s critically acclaimed, Billboard chart topping discography on AVIE.